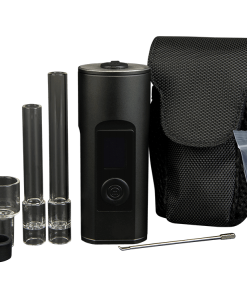 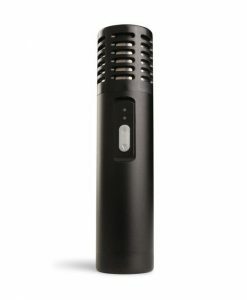 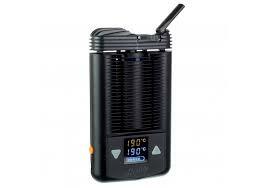 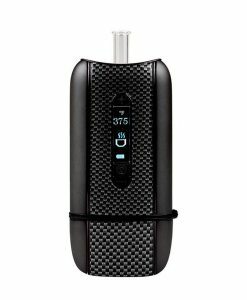 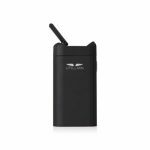 The Arizer Air II is compatible with dry herbs and can double as an aromatherapy device as well. 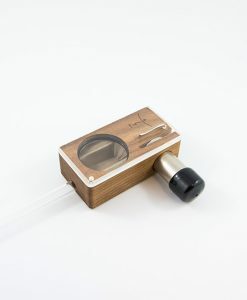 It has long, glass mouth pieces resulting in clean cool vapour taste. 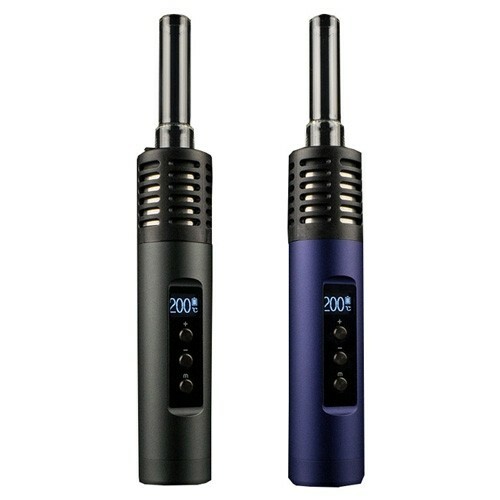 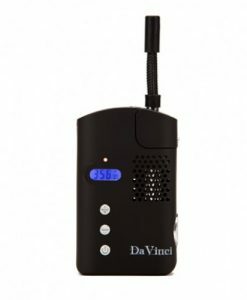 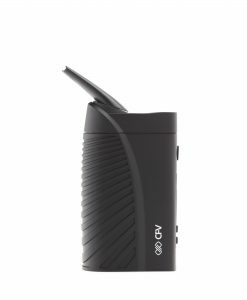 There is a removable battery for convenience, as well as a wide temperature range (122F-428F).Heating time is 90 seconds for maximum temperature. 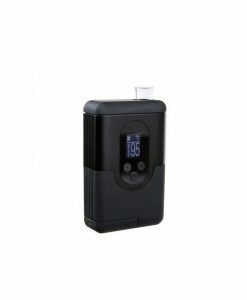 The OLED screen is bright and clearly displays the battery and temperature information. 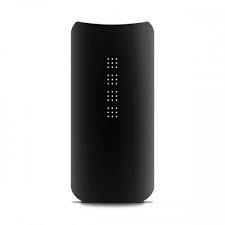 The Air II’s battery life is about 60-75 minutes with a charging time of 3-4 hours.